Finding out that somebody you care about has cancer such as leukemia, lymphoma or myeloma can be shocking, emotional and devastating. When someone else's diagnosis makes us feel this bad, it's almost impossible to imagine how the person who has received the diagnosis must feel. Our hope is that we can find the right words or the right actions to take some of the pain away, but how can we say what we feel? And what is the right thing to say? Sometimes the most surprising thing about a cancer diagnosis is how the patient handles it. They may show unbelievable strength you never knew they had, or be more vulnerable than you knew. They might show a number of different emotions - sadness, anger, guilt, fear, ambivalence, avoidance - and sometimes they may show all at once or change from moment to moment. The way a person reacts to any situation is shaped by all of their experiences from their past, which is what leads to such a variety of the ways that people manage and cope with events. In short, when it comes to dealing with a stressful diagnosis such as cancer, expect the unexpected. How your loved one feels about their diagnosis will help shape your response to it. Maybe they are at a stage where their diagnosis is all they want to talk about, or maybe they don’t want to talk about it at all. If they are diagnosed at a time when their disease is stable, your response will be quite different than if they are diagnosed with a life-threatening condition or are hospitalized. Sometimes the pressure to say the right thing can be overwhelming. What if your loved one starts to cry? What if they ask you something you don’t know the answer to? What if they get mad at you? What if you make them feel worse? The temptation may be to avoid the situation altogether. After all, they know that you care about them, don’t they? The truth is, cancer is the elephant in the room. To not acknowledge it is almost more hurtful than anything you could ever say. Hospital visits are not mandatory cancer diagnosis "etiquette," if there is such a thing. Many people have a deep aversion to hospitals, and if you identify with this, know that there are many other ways you can show how much you care. Call ahead: Find out the visiting hours of the nursing unit. Expect that you may not be able to visit until late morning or after early evening and that there is often a rest period during the afternoon. Also, find out if your friend or loved one is accepting visitors in the first place. Expect to keep your visit short: You should visit for no more than 20 to 30 minutes at a time. Blood cancer patients in particular experience a great deal of fatigue, which is made worse by a recent diagnosis. If they want you to stay longer, then stay longer, but make sure you don’t tire them out. 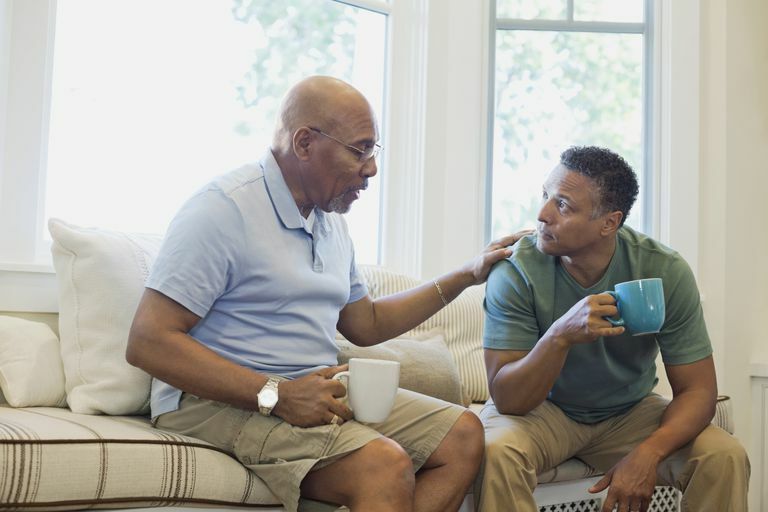 Stay away if you are not feeling well: People with these types of cancers often have a weakened immune system at the time of their diagnosis, and exposure to a virus or bacteria can lead to a very serious illness. Even if you aren’t sick, make sure you wash your hands very thoroughly when you enter the hospital room and when you leave. If you want to bring gifts, use your judgment: Plants and flowers can liven up a dull hospital room, but due to immunity concerns, it may not be appropriate to bring them into leukemia or lymphoma patient's room. Check with the nursing unit or a family member to see if it’s okay before you visit. Remember, it’s not about you: Make sure your conversation is focused on the patient, and not about your issues. Are you up for having visitors? Is there anyone else you would like me to contact? This must be a hard thing to go through. Don’t make it about you or compare it to something you have been through. If they don’t want to talk, don’t force the issue. Just let them know that you available when and if they want to. Don’t try to find the positives. There isn’t much of a silver lining to a blood cancer diagnosis, so avoid saying things like, “It could be worse,” or, "At least it isn’t...” For the person with the disease, this probably is the worst case scenario. Don’t express overly pessimistic opinions. Don’t leave if things get tough. If the person gets angry, let them vent. If they tell you they're afraid, open up the conversation so they can unload on you. “What are you most afraid of?” “What can I do to help with your fears?” These situations can be hard to manage, but put them right back in the patient’s court and let them do the talking. That way, you don’t need to worry about what to say. Nobody deserves to get cancer. Even if you believe that the person’s lifestyle choices contributed to their disease, or if you think it was “God’s will” that this happened, keep it to yourself. Actively listen to the patient when they are speaking and encourage them to continue if you sense they want or need to. Send a card to let them know you are thinking about them. Did you know that most patients with a blood cancer will need a blood transfusion at some point during their treatment? How about donating blood in their honor? Or better yet, learn more about whether or not becoming a bone marrow donor would be right for you. Don’t know anything about leukemia, lymphoma or myeloma? Find out more about your loved one’s diagnosis. Mow their lawn or shovel their sidewalk. Prepare some meals for their fridge or freezer. Provide them with fancy paper plates so they don’t need to worry about cleaning up. Offer to do some of their household chores such as washing the dishes, vacuuming or doing laundry. Consider a gift certificate for a cleaning service. Offer to provide transportation to appointments. Prepare a chemo care package they can bring with them for appointments or treatments. Bring a movie, book or CD for them to enjoy while in the hospital. Knowing what to say in stressful situations is always difficult, especially when the situation is a life-threatening diagnosis. The most important things are to think before you speak, allow the person to talk without interruption and to make them the focus of the conversation. Pay attention to cues about how much or how little they wish to talk about their diagnosis. Expressing care and compassion in the things you say can go a long way on your loved one's cancer journey. Kaplan, R. (2004) How to Say It When You Don’t Know What To Say: The Right Words For Difficult Times. Prentice Hall Press: New York.